After popular titles such as Counter Strike: Condition Zero (CS:CZ) and Shank 2, Don't Starve becomes the latest entrant into the Linux gaming scene. And as always, Steam for Linux facilitated the arrival. Don't Starve is basically an endless wilderness survival game. Game's goal is to survive for the longest time, while avoiding starvation, insanity, and hostile enemies. The game is still in public beta and is available for download through Chrome Web Store and now via Steam. Full version of the game will be available in approximately two weeks time (release date is 23rd April 2013). 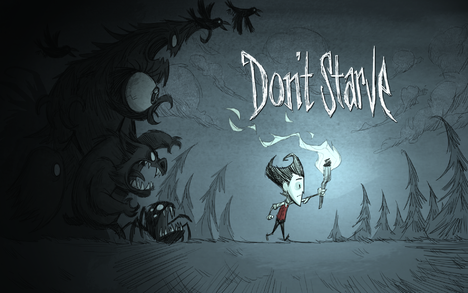 "Don't Starve is an uncompromising wilderness survival game full of science and magic. The game is about exploration, discovery and challenge, and forces the player to learn to survive in our randomly generated worlds."